The reconciliation with the Creator is a journey… taking the Steps to Knowledge, beginning to bring one’s life into order and clarity, resolving the dilemmas from the unforgiveness from the past, setting out on a new course with a great Revelation to guide one, to instruct one and to protect one. It is like being given a gift of a new life for those who can receive and for those who will benefit from those who can receive, for the gift resonates from mind to mind and is demonstrated by those who are beginning to respond. It is a great hope in a darkening world. It is a great promise for humanity who is losing its hope and its self-confidence. 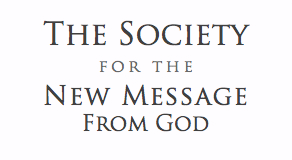 To continue reading and to begin The Journey to a New Life join the Free School today! The world, others and your deeper self is waiting for you to respond.